• 50% of proceeds will go to the Lions Club and a donation will be given to a local charity. 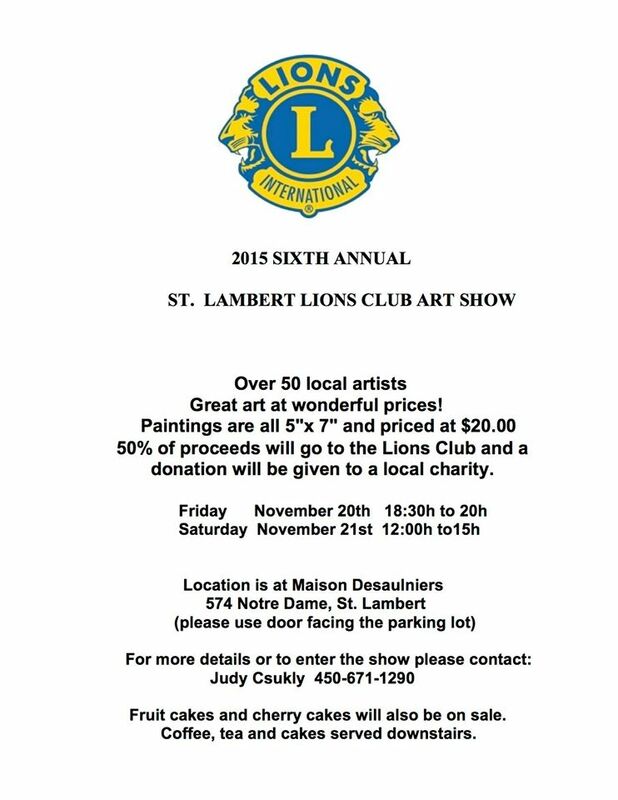 Location: Maison Desaulniers: 574 Notre Dame, St. Lambert (please use door facing the parking lot). Free parking. • Fruit cakes and cherry cakes will also be on sale. Coffee, tea and cakes served downstairs.